Today usual practice at Children's Academy of Basketball has turned into a holiday for its students. Enrique Villalobus, the famous Real Madrid and the Spanish national team basketball player and now the agent at BDA Sport, and Manolo Rubio, the famous sports manager with 22 years experience in the European club Unicaja (Spain), and now a scouting director visited the Academy. 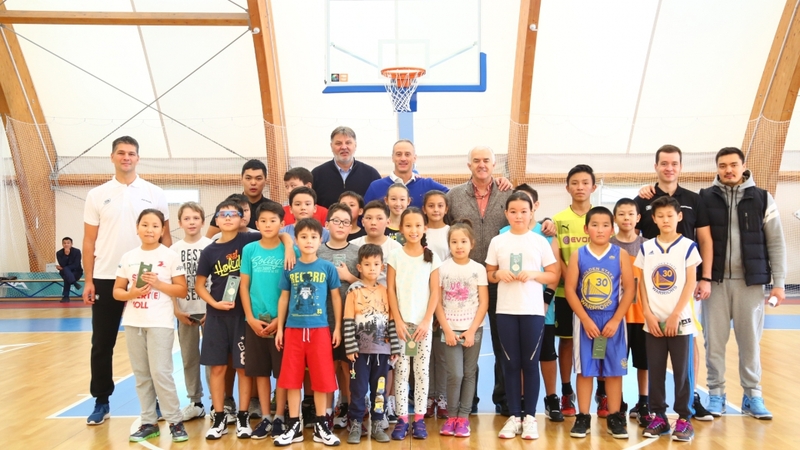 Guests from Spain not only attended the practice but also presented the children the souvenirs of BC Unicaja, and the basketball boards of the famous Spanish club from Malaga to the coaching staff for the training process. Enrique Villalobus said he was happy to come to Kazakhstan and was impressed by the beauty of the capital. It is worth noting that the guests talked with the coaching staff and the management of the Academy and discussed the issues for further cooperation.